President elect-Donald Trump and his family want to spend time at Trump Tower in New York, and that’s going to cost taxpayers some money, not to mention added inconvenience. 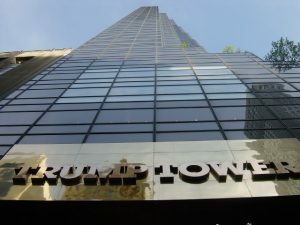 The US Secret Service is considering renting one floor in Trump Tower and turning it into a 24-7 command center to protect the family, CNN reports. CNN reports that renting a floor could run about $1.5 million a year. It’s been reported that Trump’s wife Melania wants to stay in New York so their son, Barron, can continue attending his private school. Posted: 11/25/16 at 4:52 PM under News Story.